Yearly, the Kentucky Derby thrills spectators from around the world. While fans wager and don their best Derby hats, Louisville alumni don media passes and provide coverage for the most exciting two minutes of sports. Austin Lassell, a U of L alumni finishing his masters degree in engineering, works as a freelance photographer for USA Today. Lassell says his college experience helped him get where he is. “The experience I gained at the University of Louisville – ‘The Louisville Cardinal’ in particular and also Speed School of Engineering – was definitely something that I’ll be using for the rest of my life in terms of leadership skills,” Lassell said. 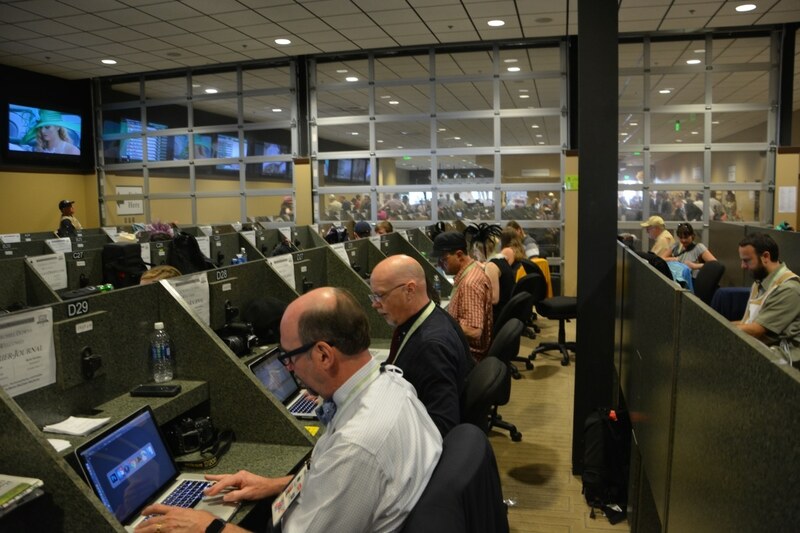 This is his fourth time covering the Kentucky Derby. The thing he looks forward to on Derby is also what he dreads the most. Megan Devine graduated from U of L’s equine program, a College of Business program specializing in the horse industry, and now works for NBC and TVG. Jack Sisterson, co-trainer of Derby winner Nyquist, was also enrolled in the program. During her collegiate years, Devine was a Cardinal Ambassador and crowned Miss University of Louisville in 2014. The time spent in Louisville gave Devine more connections and an opportunity to report in the “mecca of horse racing.” Her interest in horses has been long-lived however, as Devine has rode horses since she was seven. While working from three in the morning until seven at night tires her, the opportunity to mesh a love of horses with a career is what makes the Derby so great for her. Devine believes this year’s race will come down to the jockeys instead of the horses, meaning it will be a game of tactics and positioning. Her picks fell on Creator, with 10-1 odds, and SuddenBreakingNews, with 20-1 odds. Two minutes after the horns blared and the crowds roared, Nyquist claimed the 142nd Kentucky Derby. Media and U of L alumni, both on the tracks and off, ended the day of fashion, food and racing. Next year the crowds will return, perhaps with more U of L alumni among them.